McCloskey Washing Systems (MWS) held its first open event, at Readymix Concrete Ltd, Carlingford, Co. Louth on Thursday 3rd November 2016, highlighting their exciting new Washing and Classifying equipment for both quarrying and construction applications. With more than 100 customers and dealers present throughout Europe and North America, this truly was an international affair. 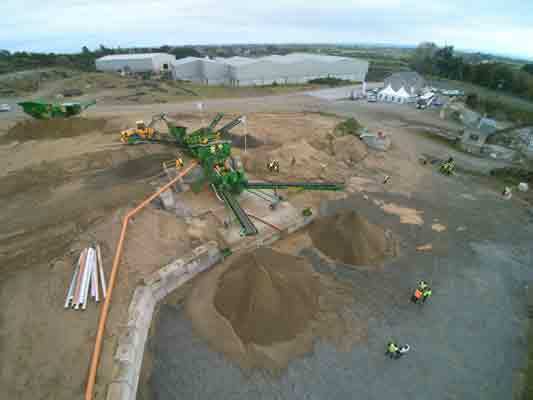 The S190 Mobile Rinser and CSP150 Sand Classifying plant were demonstrated and previewed in quarry, at Brian McSloy’s Cooley plant. Visitors were given guided tours to inspect and watch the new wash plant at work. A detailed walk through of the process line was given with opportunities for questions and answers. A demonstration of the newly redesigned model, S190 3 Deck Mobile Rinser was shown to be extremely adaptable and a high capacity mobile washing unit. With fast set up and mobility, it is ideal for contractors and rental fleets. Flexibility is also a key feature as the S190 Rinser can be easily converted to dry screen mode. Coupled to the S190, The Compact Sand Plant is capable of efficiently washing and classifying up to 150 TPH of sand. This is a highly efficient sand classification plant, which can deliver two separate grades to the customer. Speaking at the event, Mr Branko Kobal of Balavto in Slovenia said; “I am delighted to come to Ireland to hear and see first-hand the type of equipment and services available to use from the new wash division. The machine has demonstrated that it is easy to install, maintain and operate. It has been designed to reflect what the customer requires and I look forward to working with MWS in providing the right washing equipment for my needs”. 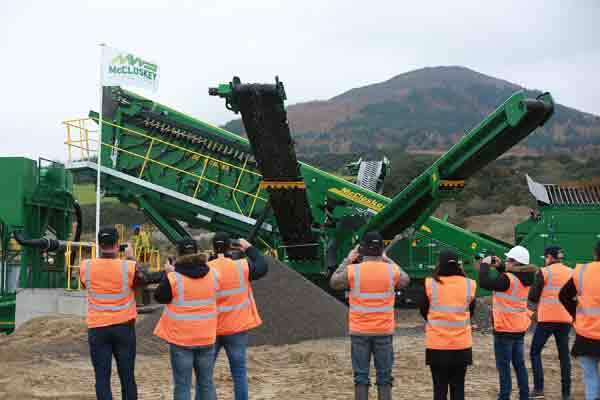 “We are thrilled that the open day was vastly successful and we extend our sincere thanks to all of our dealers and customers who joined us to experience what this new equipment can do, said Sean Loughran, Director, MWS. The reaction and attention to the Cooley plant was phenomenal, which is a testament to our promise to providing new and unique solutions, to meet customers’ needs and demands. “We expect that the energy and excitement of the day will generate fresh ways of thinking about choosing smarter solutions for our customers washing needs”. McCloskey Washing Systems (MWS) designs and manufactures a full range of modular, mobile and static washing equipment for the Aggregates, Waste & Recycling, Mining and Construction sectors. Based in N. Ireland, the company will officially open its doors at the new centre of excellence at Granville in April 2017. As a division of McCloskey International, McCloskey Washing Systems shares a customer driven approach to product development that has led to the investment in a new facility which will complement the existing facilities in the UK, Canada and the USA.